Berlaimont is on the edge of Mormal Forest between Aulnoy Aymerie and Le Quesnoy. The Cemetery is north-east of the village on the Chemin de la Grande Carriere. 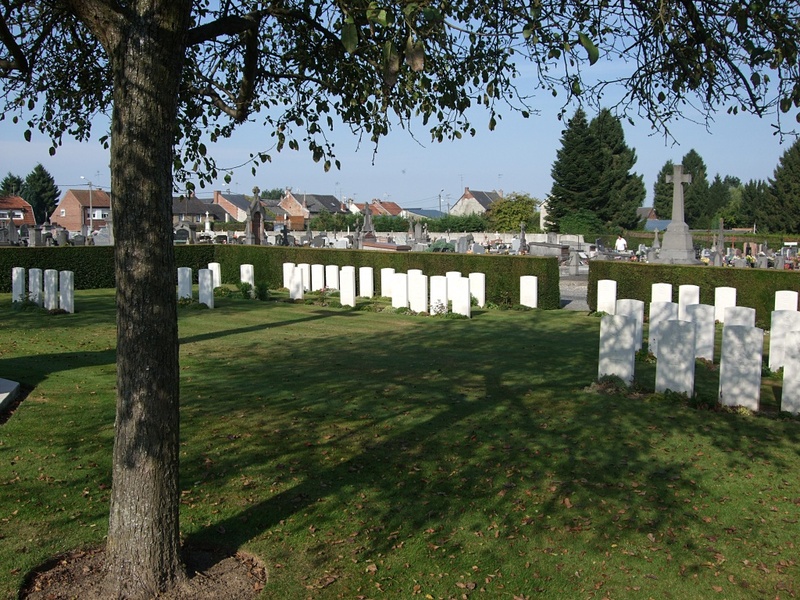 During their occupation of the Berlaimont village (which lasted until November 1918), the Germans extended the communal cemetery on the north-east side for the burial of their own dead, and of Allied prisoners of war. 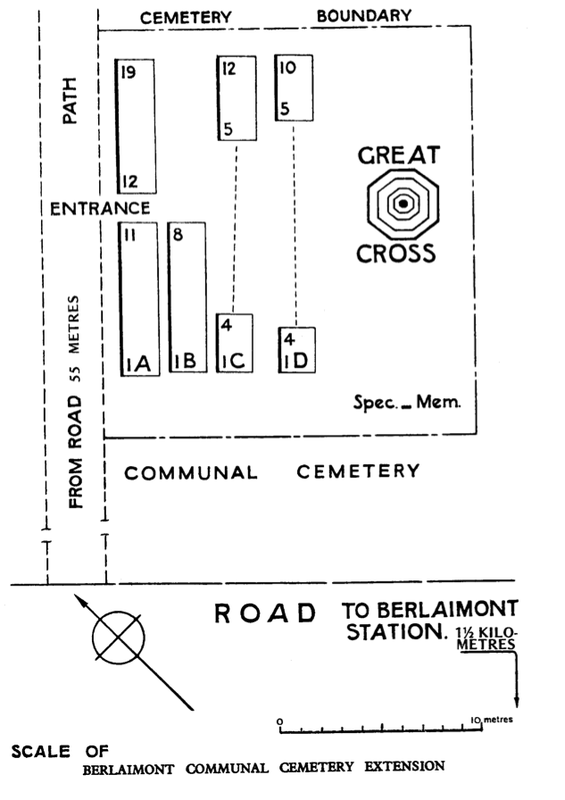 The present extension was begun in November 1918 by the 21st and 33rd Divisions. 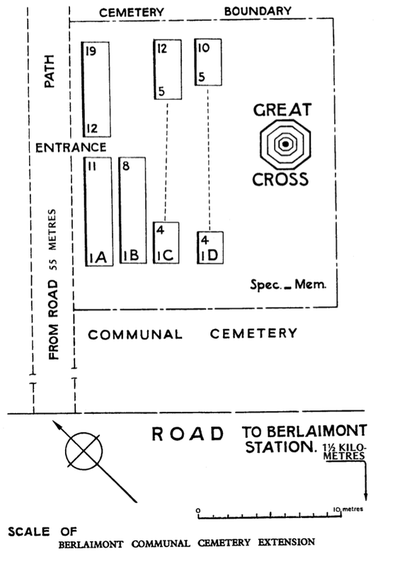 After the Armistice, the German graves were removed and the graves of the Commonwealth prisoners moved to the Extension. 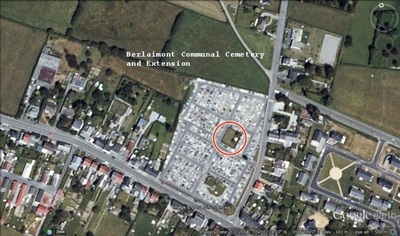 In 1927 the communal cemetery was enlarged, and it now surrounds the extension on three sides. The COMMUNAL CEMETERY contains one Commonwealth burial of the First World War. 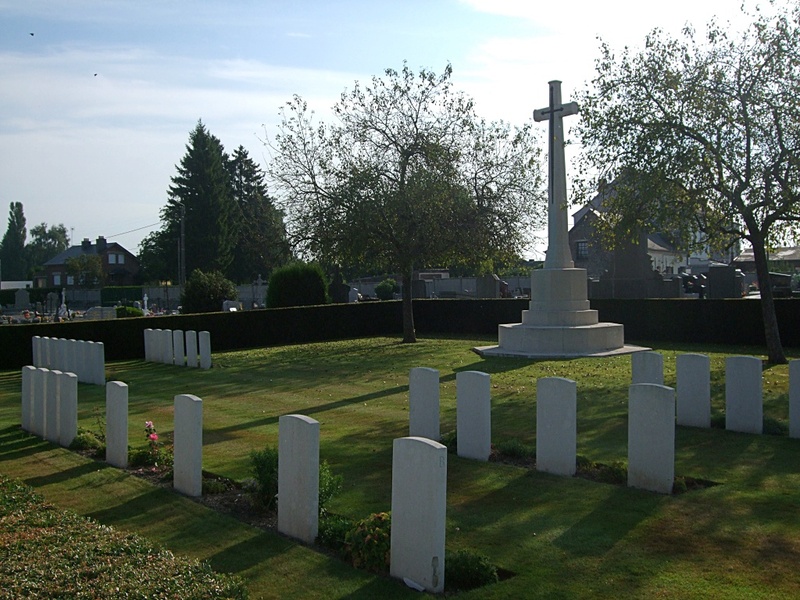 The EXTENSION contains 50 Commonwealth burials and commemmorations. One of the graves is unidentified and a special memorial commemorates one casualty whose grave could not be located.